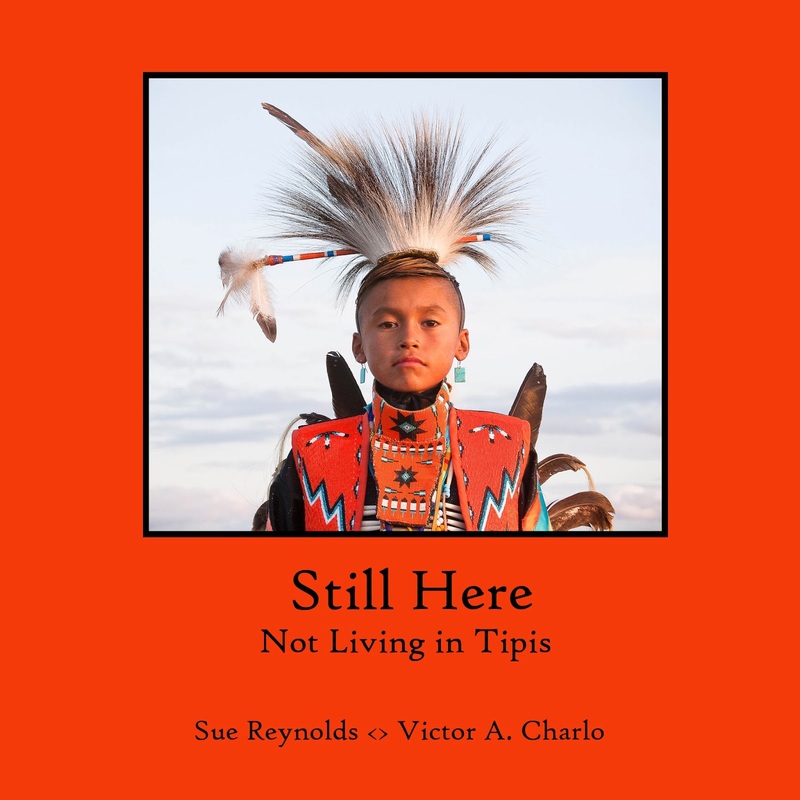 My new photo book collaboration with Salish Indian poet and friend Victor Charlo is the first between a white urban observer and a reservation Indian. It launched to a standing room only crowd at PhotoCentral in Hayward, CA on Nov. 1st, along with my new exhibit premiere. Beautiful evening! Though Vic rarely travels outside Montana, he flew in from his home on the Flathead Reservation to read his poems from the new book, sing a Chippewa Cree song and greet the public. I spoke about why I'm creating bridges of understanding and the Ohlone, first people to call the East Bay home, were honored. Ohlone Indians Andrew Galvan and Vincent Medina shared a beautiful cultural presentation while folks enjoyed traditional foods including acorn loaf, pine nuts and shell fish. All Nations' beautiful songs and drum got everyone moving in a Round Dance. One attendee said, "Your new book and exhibit are contributing vibrantly to bring people together across cultures." Exactly. As I listen to many Natives Americans, and as I document their resurrection against long odds to reclaim traditions, something new emerges. 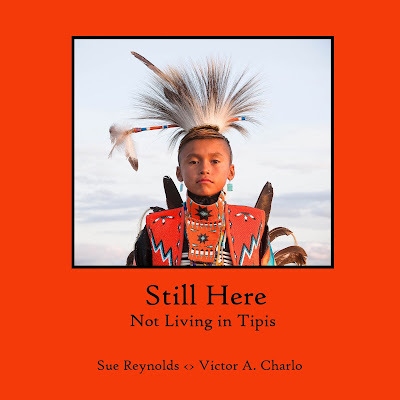 Still Here: Not Living in Tipis moves us past stereotypes and racism to allow Native people to appear as themselves. Vic's poems of his own odyssey walking in two worlds "leave me breathless," according to one reader. One hot summer day while I sat at my Crow friends' camp during their tribe's celebration in Montana, a boy shared a painful truth. Of mixed American Indian and white heritage, he told how hard it was to hear his schoolmates' ignorance about Native Americans. Their racism hurt. He asked me to get to know the First Nations people where I live, to create relationships. I've begun. While planning my new "Still Here" exhibition, I met with Ohlone Indians Andrew Galvan and Vincent Medina. Their ancestors came to the Spanish missions in 1794 at Mission Dolores, San Francisco and a bit later at Mission San Jose in Fremont, CA. Today, at Mission Dolores, Andrew is the first Indian curator at any of California's 21 missions, while his nephew Vincent is assistant curator. Invited to take Vincent's tour of the Mission, I gained a new view of California Indians' role in the creation of these institutions. Meeting Andy and Vincent at Mission San Jose, I learned how their Ohlone Indian family tree intertwines with Spanish, Mexican and U.S. history there, too. Making portraits, hearing stories and reading Vincent's blog helps me understand Ohlones, the first people to call the East Bay home, firsthand. "Still Here" exhibit, Nov. 1st opening reception 6-9pm at PhotoCentral, Hayward. Andrew and Vincent will share Ohlone culture, I'll share my experiences photographing Native American people since 2005. Exhibit runs through Jan. 12, 2014. My "Exploring Landscape Photography" workshop takes us into Mt. Diablo's hidden canyons, where we discover how to capture the magic of autumn light in our photographs. Sign up now! Starting the New Year, I reflect on how I want this journey to be. Winter is a time for people everywhere to dream, tell stories and come together. May you ride a good road in 2013, one that makes your dreams real and brings you safely home. Copyright Sue Reynolds 2013. All rights reserved.. Simple theme. Powered by Blogger.